The RUGO is a compact, rugged, go anywhere powerful LED light for photo and video and can be mounted to a GoPro®, DSLR camera, drone, tripod and many other devices. It comes with a Cold-Shoe Mount, 1/4"-20 Mount, and Standard (GoPro ®) Mount. The RUGO features three interchangeable lens settings (Tri-Lens™) and a powerful beam (up to 700 lumens) that has four different intensities. 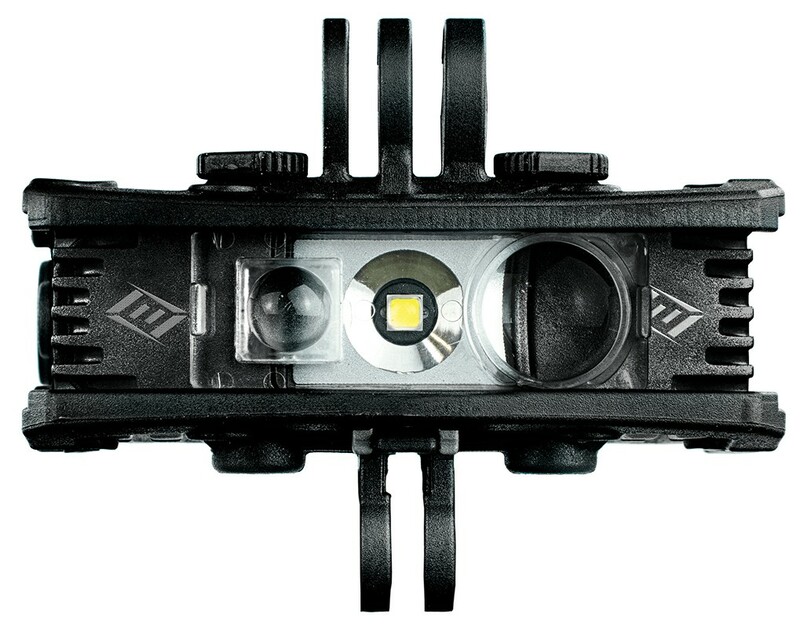 The Tri-Lens ™ offers versatility as the sliding lens enables the user to quickly change between area, flood, or spot light beams. The RUGO has a rechargeable Quick Swap™ Power Pack and is submersible to 66ft (20m).